The Don Bosco School of English had the honor of hosting four interns this summer through the Bishop Sullivan Summer Intern program. 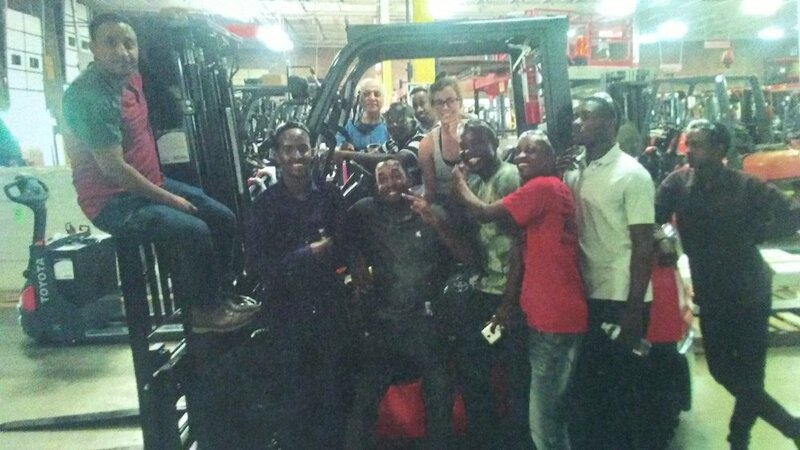 The young people spent two months dedicating their time and efforts to serving students by teaching traditional classes like English, math, and reading, as well as a not-so-traditional forklift training course. One intern, Maggie Cain, reflected upon her unique experience of earning her forklift license, and then passing her skills on to her students: "I learned about each student on a personal level, where they were from, their family, their culture; we made a song and dance; we worked on pronunciation of words by doing daily tongue twisters...the value is not all about what subject we teach. After all, we don't teach math, or reading, or English. We teach students. When we live by this philosophy, we touch the lives of our students, and more rewardingly, allow them to touch our lives."